Relations between Apple and Samsung are deteriorating at about the same speed that is claimed to another. We know that Apple decided to dispense with the Samsung technology in manufacturing the A6 chip for iPhone 5 and only gave the basics for manufacturing. Thus, Apple claimed that Samsung copied not more technology. 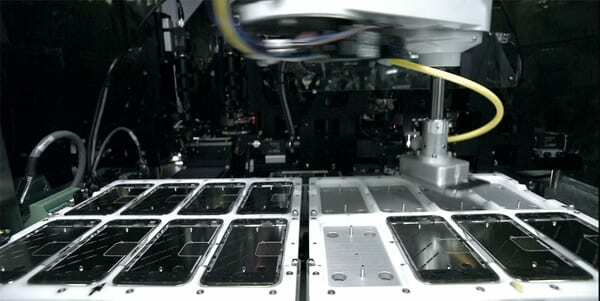 Something similar happened with the manufacture of the screens of iOS devices: Samsung until a year ago was the largest manufacturer of these components, but Apple was cutting orders and moved their business to other companies like LG and Sharp, currently responsible for cope with the demand for the iPhone 5 screens. Since Samsung have spoken about it and say they are "those who can not afford to make large amounts of screens for Apple applying deep discounts." For this reason, South Korea in 2013 states that no longer have any business with its rival. The article deals between Apple and Samsung have expiration date: 2013 was originally published in News iPhone .